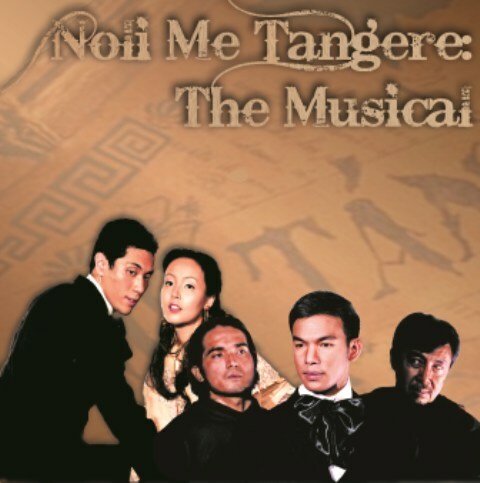 As part of Jose Rizal's 150th birthday, Noli Me Tangere: The Musical officially opens Tanghalang Pilipino’s Silver Theater Season, as co-presented by the Cultural Center of the Philippines and the National Historical Commission of the Philippines. The show begins on August 5, 2011 at the CCP Tanghalang Aurelio Tolentino. The critically acclaimed musical adapted by Ryan Cayabyab from Rizal's most famous work will be restaged, with libretto by National Artist for Literature Bienvenido Lumbera and under the direction of theater luminary Audie Gemora. Costume design is by National Artist for Theater Design Salvador Bernal. Auditions were held last March 2011 at the CCP Tanghalang Amado V. Hernandez and The Music School (of Mr. Ryan Cayabyab), the casting panel announces the powerhouse cast of Noli Me Tangere: The Musical. Chorus: Jenny Garcia, Janine Santos, Sherine Coa, Rayna Reyes, Hazel Maranan, Diana Sison, Martha Comia, Kathlyn Castillo, Erick Arsenas, Gino Ramirez, Chesko Rodriguez, Jelson Bay, Berl Angeles, Baron Barbers, and Honorio Magat. This production of Noli Me Tangere, in cooperation with the National Historical Institute and supported by the Department of Education (DepEd) and the Commission on Higher Education (CHEd), will also serve as the launch of the National Campaign urging high school students to join forces with the Kabataang Rizal Movement in order to promote the ideals of Rizal and his vision for the Philippines. For more info, please call (632) 832 1125 local 1620. Look for Ms Yanna Acosta, Paulo Perez or Ms Lorelei Celestino.